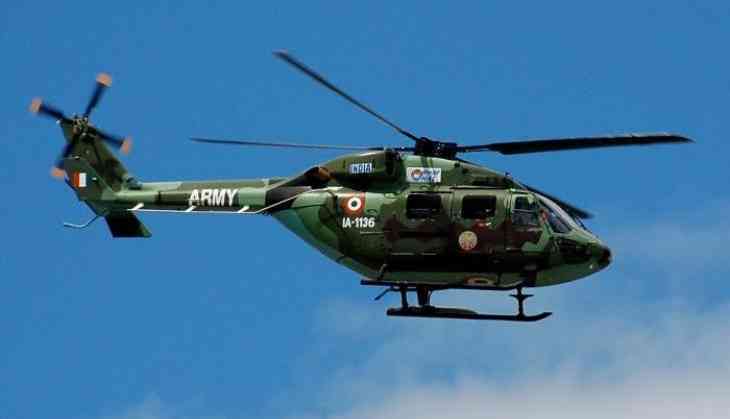 An Indian Air Force (IAF) Advanced Light Helicopter (ALH) that was deployed for lifting people stranded due to road blockage went missing, along with three crew members, between Sagalee and Itanagar districts of Arunachal Pradesh on Tuesday. The chopper was rescuing people who were stranded due to landslides that were triggered by rain. Informing about the incident, Minister of State (MoS) Home Affairs Kiren Rijiju said, "Weather is turbulent in North-East. I'm safe but whole State machinery is geared up to locate IAF ALH chopper missing almost at same time". Rijiju further tweeted, " Arunachal Pradesh Chief Minister Pema Khandu and state government are mobilizing local people to locate missing IAF helicopter which was on a rescue mission." "CM @PemaKhanduBJP ji & State Govt mobilizing local people to locate the missing IAF helicopter which was on a rescue mission in Arunachal". Earlier in the day, Kiren Rijiju's chopper made an emergency landing due to bad weather. The Mi-17 helicopter landed to an alternative place as it was caught in heavy rain and fog, which made navigation difficult. Rijiju was travelling to Ziro in Arunachal to attend the local Dree festival there. He was also going to overview the disaster preparedness and to meet paramilitary personnel deployed along the Sino-India border. Vivo to beat Apple to under-display fingerprint scanners, but will it matter? READ NEXT >> Vivo to beat Apple to under-display fingerprint scanners, but will it matter?